I have found in my work at the Tamarack Institute that when supporting organizations develop large-scale collaborations to impact systemic change, two issues arise early in the discussions. The first is a desire to reach out to organizations that are similar. 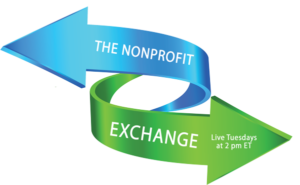 Nonprofits mainly want to talk to nonprofits, businesses want to talk to business and government most often just wants to talk to people in their own departments. Second, organizational leaders want to move to action quickly without taking the time to engage broadly. My assessment is that our desire to work first with those we know best is because it is easier and because we are unsure and feel we want to get our own house in order first, get everyone on the same page, and then reach out. My advice when holding large-scale conversations and other engagement processes to build collaboration is to reach out to diverse groups – all at the same time. The synergy of ideas creates excitement and builds momentum when diverse groups are engaged. When we work in single-sector engagement for large-scale change, we often get stuck on technicalities or worse: we fine-tune what we have in common. A small regional museum reached out to its community to develop an exhibit and a speaker series commemorating the year of the refugee. They engaged local agencies that supported refugees, and business leaders who were identified as coming to the country as refugees, as well as politicians and bureaucrats. Most importantly, they engaged recent refugees to their community. Their goal was to find common ground to become a more welcoming community. These individuals formed an advisory group of about 25 people. Together they raised the money for the exhibit, gave input into the exhibit design, and many of them donated their time and stories to the workshops held during the 6-month exhibit. The exhibit was one of the most successful in the museum’s history. Involving leaders from so many different sectors opened doors to promoting the event like the museum had never done before. Diverse voices provided an amazing creativity in the creation of the exhibit, and building such a diverse network created an opportunity to build the museum’s credibility with constituencies they had never had before, resulting in more donations. This network went on to build an amazing multisector coalition and is making the community a great place for refugees to settle. Diversity encourages creativity, builds new relationships, and opens doors to new possibilities. Allow for emergence in planning processes. Once members of your diverse team get to know each other’s stories, they will become engaged and their contribution value will increase. Multisector teams are more open to discovery and story than single-sector teams. Once a team is formed, give members time to tell their stories before moving into planning and tasks. Then wait for the miracle of engagement. To build a multisector team, we most often start with engaging the agencies serving the issue we want to address. In the example, agencies serving refugees could easily identify business and government leaders willing to help. Communication is critical in all engagement strategies. Build a database of names from the start. Grow it with people joining the list during the activity. Create a communication piece (newsletter with updates and stories) that is sent regularly and capture the excitement. When you build a multisector team, you need to worry less about consultation. Once people know each other’s stories, they draw from those stories to provide ideas.